Sometimes, our idea of ‘good’ or of ‘blessing’ tends to get mixed up with our worldly perspective of happiness: the idea of fun, of feeling comfortable. We tend to mistakenly think that we are strongest on our Good Days, the times when we are feeling energised or happy. We're in a society where we can instantly 'fix' things if they are broken. And perhaps this was my mindset: that God 'working all things together for my good' translated into God fixing everything in my life, so that I wouldn't have to deal with hard times. This isn't quite the case. For sure, as I’ve entered into each new chapter of life, I’ve been overwhelmed by good, showered with blessings from a God who is good, kind and faithful. However, in each stage, there is also always an underlying ripple of discontentment: there are always boring days, there are always sad days. There are crying friends, broken relationships, large-scale tragedies and internal conflicts. There is a lot of illness, there is stress, insecurities, bad choices, and all the mess of the world that mounts up each and every day. There is a lot of good, but there is much pain and dissatisfaction sprinkled along the way. And we will never reach a season of complete, uninterrupted 'good' in this life. And actually, in this world, we will always face discontentment. Because this is not our home, and it is not how God intended it to be. However, once I've realised this and started to think of life in these two tracks (blessings and battles) rather than always daydreaming ahead to an elusive future chapter where I have got things 'sorted' - I am instead learning to search for God's goodness in the now, and to bloom where I am planted, knowing that there will always be battles along the way. 1. There far more blessings than I had realised or recognised, and I am not thankful enough. 2. My ‘battles’ often fade into their right place when I gain a Heavenly perspective, and remember that God is very present in both tracks of my life. 3. Feelings of self-pity or doubt tend to fade when you realise that your Creator is daily holding your world together, looking out for you, looking after you; ever-present in the very fabric of your life. There are blessings in the battles. I will be most benefited when I encounter God’s love and am made more like His Son Jesus; and that is likely to happen in the desert place, in the times that are hard, confusing and messy, the times when we feel like we are going backwards or struggling to see God at all. When we feel most pressured, we are in the process of being refined, as daughters of a Father who wants the best for us and wants us to know Him more. This is the greatest 'good' we could experience - even when it doesn't look like it. It is no wonder that we are happy when things are good – but it is a real testament to a faithful God when we are praising even in the desert place, to a God who gives and takes away. The greatest good that I can experience is the grace of God, and His unshakeable nature, which doesn't depend on circumstances. All these blessings and battles, all the good and not-so-good days – they are all according to God’s purpose. He has total control: even when things seem completely dark, totally chaotic, painfully boring or completely stagnant. I'm Lucy and I'm just beginning my final year at Durham University. I love my hometown Cambridge and I also love living in the beautiful little city of Durham, where the coffee shops are plentiful and the people are GREAT! Running More Precious is one of my favourite things and it's the biggest source of encouragement! 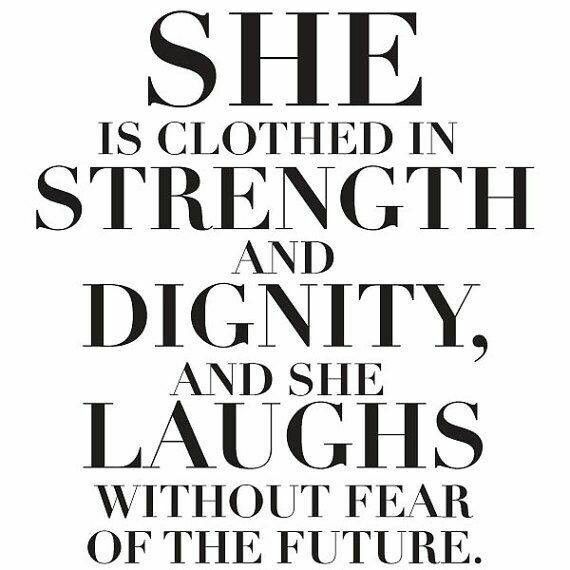 Like I said in my bio, I'm still learning how to live out a little of the thankfulness of Pollyanna, the kindness of Katy Carr and the faith of the Proverbs 31:25 girl - perhaps one day I'll get there!